Argus Fire Protection Design and Engineering team are able to assist you by carrying out a detailed analysis of your fire protection needs and objectives in order to develop the best possible solution to meet your needs whilst ensuring compliance with the relevant regulations, standards and codes. Argus Fire Protection is also pleased to announce that we are BIM enabled. Building information modelling (BIM) is growing in popularity in New Zealand and we now have the tools to work collaboratively with architects, engineers and contractors through intelligent fire alarm and sprinkler models within REVIT. The benefit of BIM begins with efficient construction due to clash detection and resolution through the design model rather than during construction causing delays and costly reworks on site. The longer term benefit is for facilities management in the handover of the building from the construction team to building management. 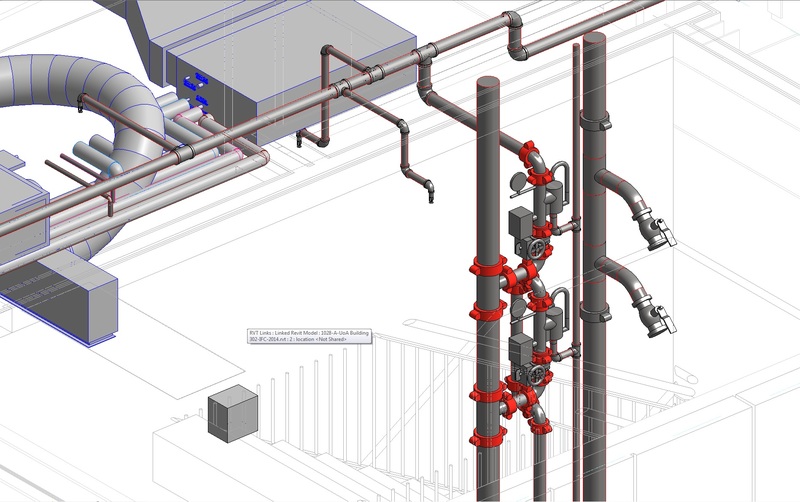 The information typically lost in transition is now available to the Facilities Manager through the intelligent model; sprinklers, valves and other equipment can be identified by make, model and manufacturer by clicking on the part within the BIM model.